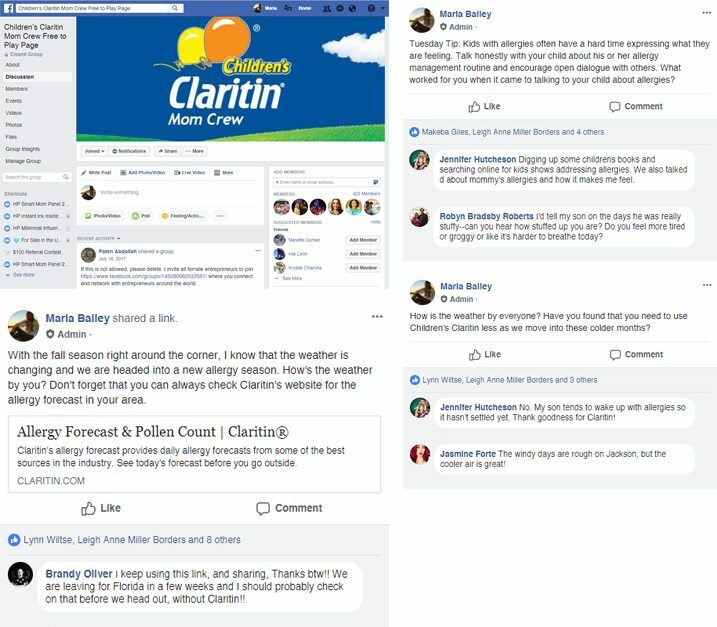 When Children’s Claritin, a popular children’s allergy medicine brand, wanted to provide support to moms of allergy sufferers, BSM Media created an interactive platform via a private Facebook group where moms shared suggestions, stories and tips related to managing their children’s allergies. Members are provided with a tool kit from the brand, which includes product samples and branded items to share with their offline friends and peers. Group members are also invited to participate in online and offline events that align with key allergy seasons. In the first quarter of our program with Children’s Claritin.